Greetings cardfighters! Due to popular demand, I'll now be analyzing the various ARGCS Vanguard tournaments from here on out! So as some of you know, ARGCS Charlotte happened last weekend and had 49 participants. In addition, I also have some commentary from the top 2 players of this event! So what happened in this tournament? Let's drive right into it! The deck spread for the event will be shown right here! Credit for the information regarding the deck representation numbers belongs to Edward Vanmanz, the judge of this event. As we can see, Revengers expectedly took a significant portion of the tournament as the most played deck as well as acquiring the most spots in the top 8 cut. Messiah was the 2nd most played deck, although they did not get in top 8. 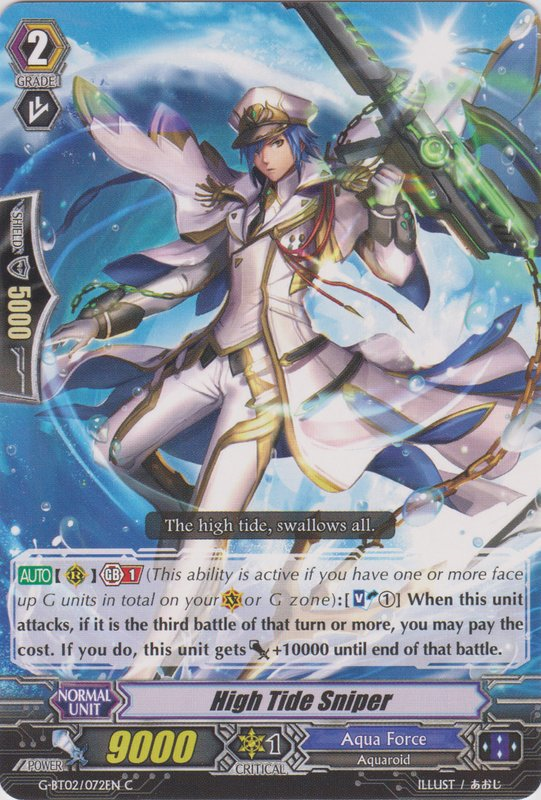 Aqua Force and Royal Paladin as a whole saw more play than Messiah did, but that would entail putting Thavas+Maelstrom and Sanctuary Guard+Thing Saver under one banner respectively, which would be an accurate portrayal of the expected metagame. 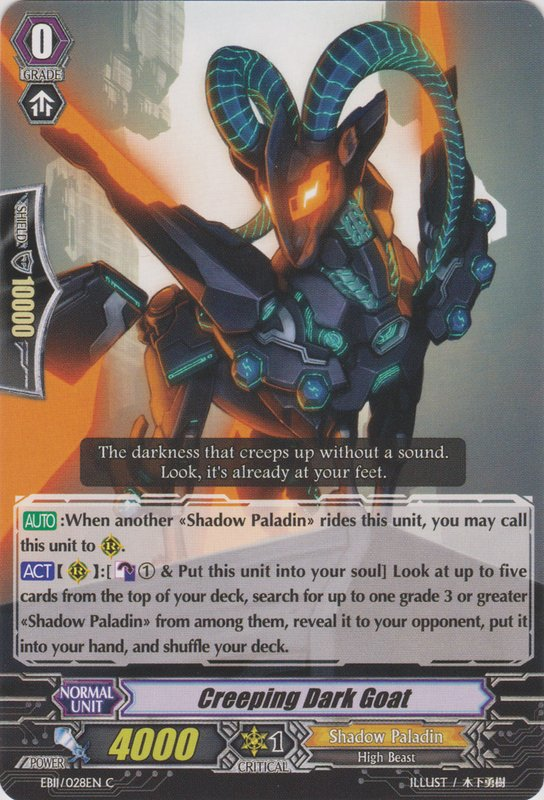 However, Royal Paladin did not score a spot in the top 8 either. So I was able to speak with Julia about her deck choices. She mentioned that she chose the Michael/Milos legion over other popular options such as Glory Maelstrom or Tetra-drive Dragon because it allowed her to have other plays if she was unable to stride. That way, she was able to have back-up plays and could return some triggers instead of being placed in a "stride or die" scenario that many G era decks are plagued with. The one-of Max tech put in a surprising amount of work in some of her matches as well. 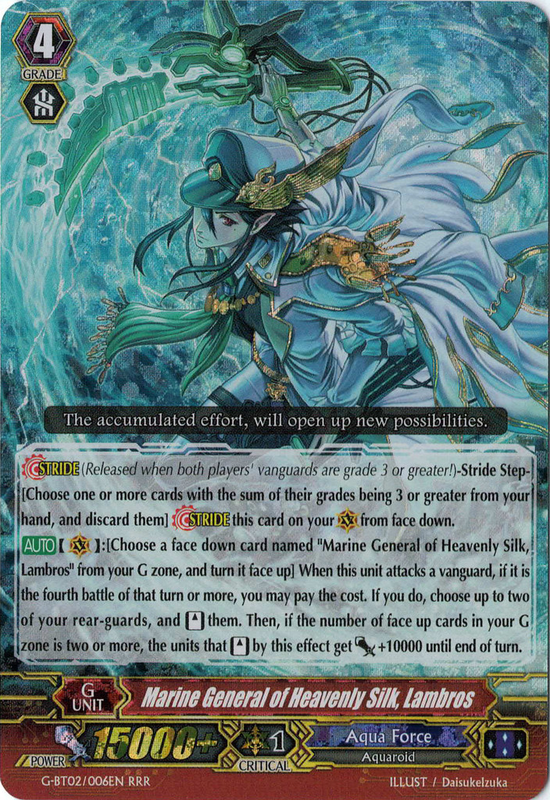 She also said that she found the two-of ratios of High Tide Sniper and Whirlwind Brave Shooter were key cards that put in a lot of work! Julia wanted to give a shout out to her group of friends who helped her with playtesting and fine-tuning the deck with just the right amount of tech ratios. Nicely done Julia! I also had a chance to personally discuss with Nam about his deck, which he went undefeated with throughout the day! 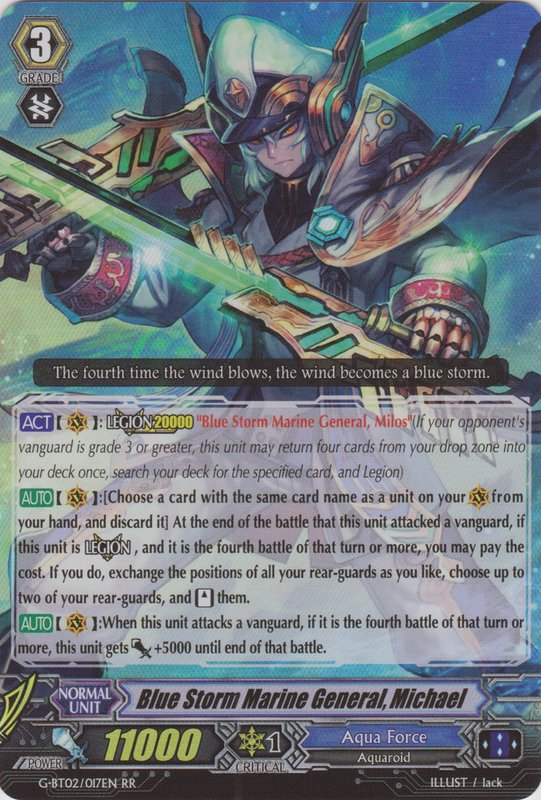 He decided on using Creeping Dark Goat as his starting vanguard over other popular choices like Judgebau Revenger or Promising Knight, David to maximize his chances of seeing a second Grade 3 so he could stride more reliably, which is important because he does not run any stride enabler Grade 1s. Because of this choice, he decided to cut Black-winged Swordbreaker down to 1 so he can grab it off Grim Recruiter. 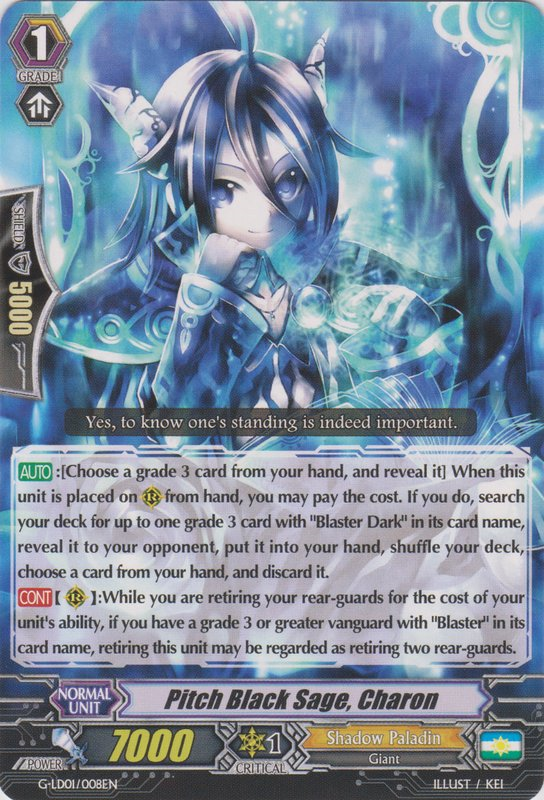 The two copies of Blaster Dark "Diablo" were meant to be used to help with deck-thinning in conjunction with Pitch Black Sage, Charon. 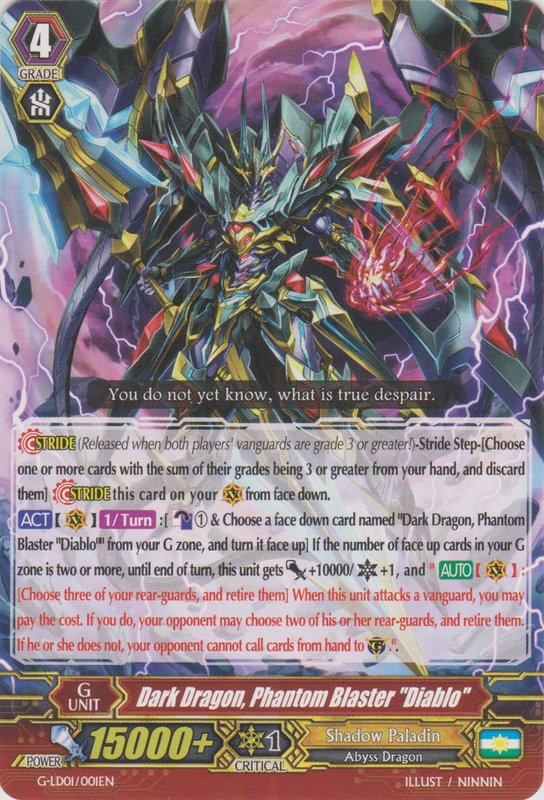 Because the deck has many different ways to thin itself out, he was able to increase the probability of drive checking multiple triggers, which is quite devastating upon the latter stages of the game with a re-standing Phantom Blaster Abyss or Phantom Blaster "Diablo" pressure. Nam wanted to give a shoutout to his local card store: The Wasteland Gaming in Duluth, Georgia. The local "[provided him] with the cards and experience for entering this tournament. Its a great place and you should check it out!" Nicely done, Nam. Well that concludes ARGCS Charlotte! This is a significant event to look at as we head into ARG Nationals next month, so the pie-chart and the top 8 layout can give you a ballpark figure on what to expect for the National next month! This was my first article about a specific tournament so let me know how I did and if there is anything else I can do to improve for the next one! So until next time, Play Hard or Go Home!